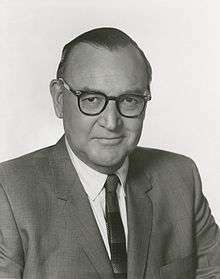 In 1962, with popular incumbent Senator Thomas Kuchel a shoo-in for re-election, the Republican Party felt it could also gain the governorship and win the state back from the Democrats. 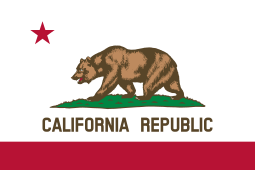 They turned to former Vice President Richard Nixon, the biggest name at the time in the California Republican Party. Having been elected Senator in 1950 and carrying the state against Kennedy in 1960, they also felt a convincing win could be a springboard for Nixon to challenge Kennedy again in 1964, since he narrowly lost to him in 1960. However, the conservative Joe Shell challenged Nixon in the primary, and received support from the John Birch Society. 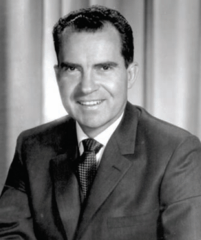 Although Nixon beat Shell in the primary, 1,285,151 votes (65.4 percent) to Shell's 656,542 (33.4 percent), the contest was bitter, and Nixon did not reach out to conservative Shell supporters, which weakened him in the general election. In a bitter and expensive campaign, Brown and Nixon campaigned with great zeal and effort. 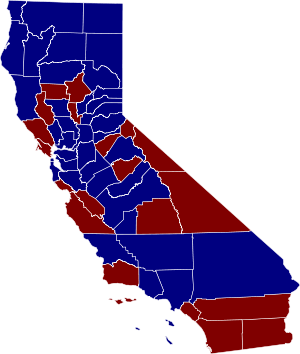 Nixon had a lead in the polls early on, but Brown chipped away at his lead. Still, come election day, Nixon was favored to win a relatively close election. But Brown not only won, but by a surprising 5%. A stunned and frustrated Nixon announced he was retiring from politics. ↑ Matthews, Christopher J (1997). Kennedy and Nixon: The Rivalry That Shaped Postwar America. Free Press. pp. 215–218. ISBN 978-0-684-83246-3. ↑ Lawrence, David G (2009). 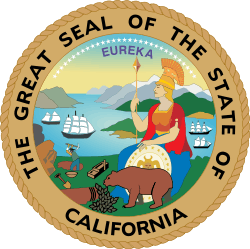 California: The Politics of Diversity. Wadsworth Publishing. p. 35. ISBN 978-0-495-57097-4. ↑ Starr, Kevin (2009). Golden Dreams: California in an Age of Abundance, 1950-1963. Oxford University Press. pp. 215–216. ISBN 978-0-19-515377-4. ↑ Perlstein, Rick (2002). Before the Storm: Barry Goldwater and the Unmaking of the American Consensus.